We often use words to describe ourselves, but the items that inspire us or the pieces we love say a great deal about who we are. So, today I wanted to share with you the objects that tell little stories of who I am. As a creative person, I love to surround myself with photos and items that inspire me, in hopes that I will always be motivated. With that said, I have chosen items that are decorative pieces that I display in my room, others are stowed away carefully, as they are of sentimental value. While I was collecting the items to share with you all, I realized just how much I am inspired by history and literature. After all, I named this blog after my favorite fashion icons, Queen Elizabeth I and Queen Marie Antoinette. Let's start with my two favorite fashion magazines. People have asked me, "Was there a specific moment when you fell in love with fashion?" Like most fashionistas, I played dress up as a child with my mother's clothes (and jewelry) and I loved getting all my Barbies runway-ready by dolling them up in gowns, but I cannot recall a specific moment that sparked my love for fashion. However, I can tell you the exact moment I discovered my love for fashion magazines. I was helping my aunt place all of our groceries on the conveyer belt when I spotted the September 2006 issue of Vogue featuring Kirsten Dunst as Marie Antoinette on the cover. At the time, I was in the sixth grade and I was just in awe of the fashion photography. Maybe it was the way Annie Leibovitz framed the photo or the opulence that the image evoked, but to me, this cover was, and still is, nothing short of iconic. From that moment on, I have been collecting fashion issues and proudly displaying them on my shelves, as I do with all of my favorite fashion books. Over the years, I have accumulated so many magazines that I've had to donate stacks of them to my local library, but the September 2006 issue of Vogue will remain forever in my collection along with the October 2011 Teen Vogue issue featuring Lily Collins as the cover girl. I adore Lily Collins and she is such an inspiration to me, so I was thrilled to see her gracing the cover of one of my favorite magazines. Her regal features, elegance, and charm were beautifully captured in a surreal fairytale-like photo shoot, making this my favorite Teen Vogue issue to date. As gorgeous as they are, these Moschino pumps are not the most comfortable shoes I own, but I can never get myself to give them away or sell them on Poshmark because, to me, they are so much more than just a pretty pair of heels. They were the first pair of designer heels I purchased for myself, but they are even more special to me because I wore them out to dinner with Caroline Issa during the Nordstrom Experience. I feel so blessed to have been apart of such an incredible opportunity. Ms. Issa, along with her team, really inspired and motivated me to continue the path that I am on, which makes these heels absolutely priceless. Every time I wear them, I think back to that special experience. If you would like to read all about the Nordstrom Experience with Caroline Issa, you can click here. When I was in the first grade, my mom would take me to the library every week and I would pick out a few books and one documentary to watch. I found myself selecting mostly documentaries about influential women in history from Eleanor Roosevelt to Joan of Arc. I became absolutely fascinated with their life stories, so it came as no surprise that when I read about Queen Elizabeth I, I instantly added her to my list of inspirational women. Her story impacted me so much, I created this necklace as a project for my British Literature class in high school and I even featured it in my outfit post, Crimson Velvet. I now display this necklace on my bookshelf next to this photo of Queen Elizabeth and Robert Dudley because I love reading historical romantic novels and the story of Queen Elizabeth and Robert Dudley is one of my favorites. This vintage Anne Klein necklace and earring set is so precious to me. My mother purchased them years ago in the 80's and she let me wear them for my second outfit post when I started my blog almost three years ago. As a child, I tried on all of her jewelry and paraded around the house, but she kept these safe from harm (a.k.a little Kristen) and gave them to me after we wrapped the photo shoot. I love these gold pieces because of the baroque-inspired design, but also because the necklace design appears to contain a repeating pattern of the number three (my favorite number) and a reflected image that appears to look like a scripted letter "E." These tiny details inspired me to recreate the logo of my blog that contains the capital letters, "EMME," representing the name of my blog, Elizabeth, Marie, and Me. However, like the necklace, I reflected the last letter "E" to look like the number three, making the "EM" appear to have a mirrored image as "EMMƎ." As I previously mentioned, I also named my blog after Queen Marie Antoinette. I believe she was one of the most fashionable women of her time and even now, centuries later, her style still continues to inspire fashion designers and fashionistas like me. Besides her over-the-top sense of style, I was fascinated with her tragic love affair with Count Fersen after reading the book, Marie-Antoinette and Count Fersen: The Untold Story by Evelyn Farr. 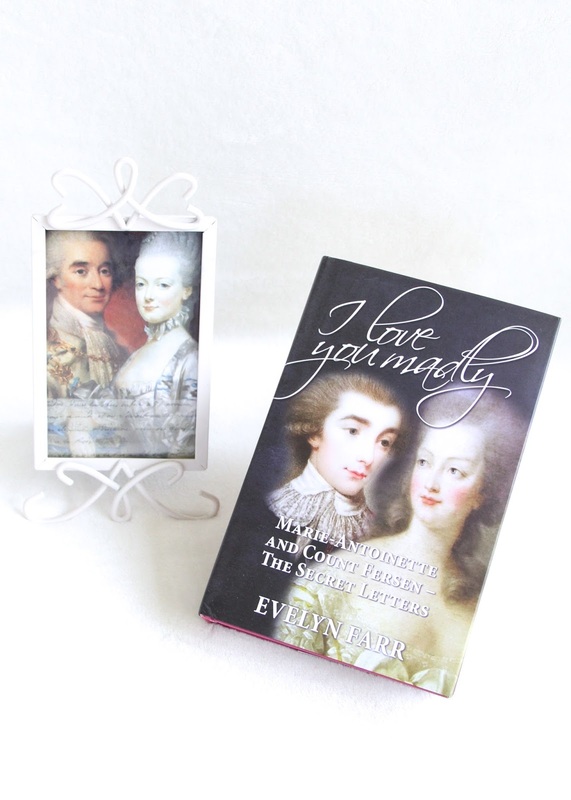 Currently, I am reading Evelyn Farr's second book on the clandestine lovers, I Love You Madly: Marie-Antoinette and Count Fersen- The Secret Letters and it is wonderful! As an ode to fashion and romantic literature, I display this photo of Marie Antoinette and Count Axel Fersen on my bookshelf along with the photo of Queen Elizabeth I and Robert Dudley. In my eyes, Alexander McQueen was more than just an incredible designer; he was an artist and poet who chose to express himself through fashion. His work is unbelievable! I took Mixed Media in high school for almost six years and I loved creating wearable art. Unfortunately, I didn't know about McQueen and his jaw-dropping creations at the time, but when I discovered his work, my world was never the same. He eloquently conveyed stories through his pieces with drama and fearlessness because his strong concepts were always topics that he felt an emotional attachment to. He was a genius. As a lover of literature and poetry, I had to share a couple of my favorite books in this photo. The Time Traveler's Wife by Audrey Niffenegger is my favorite book because no other novel has stolen my heart quite like this one. I even framed the movie poster and I have it hanging on my wall next to my desk in my work area. Another book I love is The Collective Poems of Emily Dickinson. Even if Ms. Dickinson's intricate and thought-through metaphors are dressed with an elegant simplicity, I don't understand all of her poems, but I love to read a few of them before I go to bed. Like her, I love writing poems when it's quiet at night and I keep them locked away in this brown poem book. Since fashion and film go hand in hand like peanut butter and jelly, I wanted to share with you three of my favorite classic movies that had me in awe of the costume design. I remember watching My Fair Lady with my mom when I was five years old and I was mesmerized by the all of the gowns, the glitz, and the glam in the Embassy Ball scene. It's no surprise Cecil Beaton won an Oscar for his work in this movie. This film very well may be the one that ignited my love for costume design. The costumes in the movies Marie Antoinette and Gone With the Wind were equally as spectacular. What fascinates me the most about costume design is the relationship between the character and their attire. When watching movies, we don't think to analyze the color, design, or fabric choices, but the clothing and accessories the costume designer selects for the actresses and actors reveal much more about the character and the story they are conveying. In the year 2000, I remember McDonald's giving miniature Barbies as the girl toys for the Happy Meals. I was about five years old at the time and I was obsessed with barbies, so I asked my parents if I could eat lots of chicken McNuggets and cheeseburgers so I could get one of each Barbie toy McDonald's had to offer. Although I didn't collect every Barbie from that series, I collected quite a few and lined them all up on my windowsill next to my bed. Seventeen years later, I upgraded from McDonald's toys to ornaments, but I am still decorating my room with miniatures. My three favorite ornaments at the moment are the Lockheed Vega 5B airplane, Gigi, and of course, the Cherry Pie Picnic Barbie ornament. I love this airplane because it's the exact plane that Amelia Earhart flew across the Atlantic Ocean and flew nonstop across the United States- both were firsts for a woman. Ever since I was a child, I admired Amelia Earhart for her courage and persistence to prove that women could accomplish just as much as men. The other ornament that I put on display next to my DVD collection is this Gigi figurine. Although I am not fond of musicals, I found Gigi to be whimsical, full of excitement, and the costumes were out of this world amazing! You may remember this camera clutch from my previous outfit post, In Focus, or from my profile picture on Instagram. I chose this as one of the objects because it reminds me of the quote by Ziad K. Abdelnour. He said, "Life is like a camera. Focus on what's important. Capture the good times. And if things don't work out, just take another shot." I chose to place this quote on an inspiration board I made years ago and it motivated me to create this fashion blog. Also, this purse is special to me because it was gifted by Sammy Dress when I first started collaborating with companies on my blog. For my last group of items, I had a difficult time choosing just one, so I decided to share all four. Last year I decided to make a list of all the fashion movies I wanted to watch and Factory Girl was on that list. Sienna Miller was brilliant as Edie Sedgwick in this beautifully tragic biographical film. I also chose to feature my favorite black and white photo of Edie in this flat lay because I love the bold baubles she is wearing. They were actually two fabric tassels from a coat that she fashioned into earrings. As a collector of statement jewelry myself, I love these two AQUA earrings that I purchased from Bloomingdales. Every time I wear them, I think of this movie and her impeccable fashion sense. Edie's iconic 60's style and her array of statement earrings inspired me to create statement earrings of my own, which has become a new hobby of mine. If you have been following me on my social media platforms, you may know that I created a pair of gold drop earrings that I featured in my recent outfit post, Sunny Side. Whew! 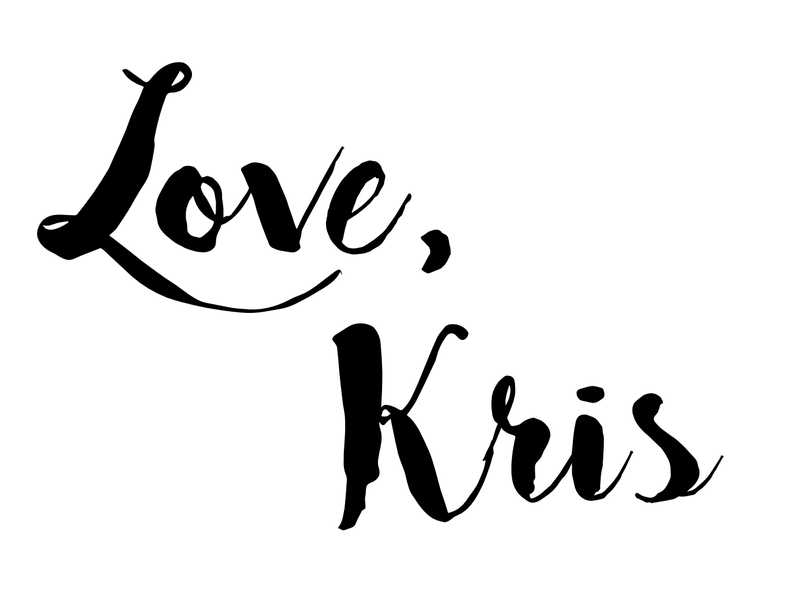 I know this post is longer than my usual, so if you stuck around till the end, thank you! I've been working on a special collaboration, so stay on the lookout for a new outfit post. As always, I am sending you lots of love from my heart to yours!